In our development in Florence, MA, just 2.5 miles from downtown Northampton, MA, it seems that solar panels are going up on yet another neighbor's home on a weekly basis. We started the process of interviewing local solar providers last year, but had to put the project on hold for a variety of reasons. Now we are ready to open this can of worms once again. Luckily, our neighbors have done a lot of research, which they are happy to share. The following article from Apartment Therapy does a nice job of explaining the costs and benefits associated with installing solar panels on ones' home. The good news is that buyers do seem to be willing to pay more for solar power - so you needn't stay in your home long enough to see a direct return on investment. Aside from the obvious benefit of helping the planet, solar power can be pretty enticing to homeowners who are tired of paying an arm and a leg for their electric bill every month. Given that outfitting a home with solar panels comes with considerable costs upfront, though, is doing so practical from a financial standpoint? Can solar power in fact pay off? For starters, it's worth noting that the benefits—as well as costs—of installing solar (also called photovoltaic) power systems will vary from house to house. This makes sense, right? Your house might be much larger than my house. My house may be in an area where solar power is more readily available and therefore more affordable. The variables go on and on. In general, however, there are a few universal benefits of installing solar power: it lowers your electric bill, minimizes your carbon footprint and, depending on where you live, it can even bump up your home value. On the flip side, you'll need to drop a pretty penny upfront in order to buy the equipment and pay for the installation. The big question, of course, is whether the potential savings will outweigh those upfront expenditures—or, more pointedly, whether you'll actually be able to save money (or make money, if the value of your house goes up considerably) should you invest in solar power. How much does solar power cost to install? Let's talk numbers, shall we? A solar power system for an average-sized house in the U.S. can run anywhere from $15,000 to $40,000. If those figures give you a serious case of sticker shock, don't fret just yet—many companies allow you to "lease" the equipment, which dramatically reduces your upfront costs. But should you decide to purchase outright, you may qualify for government incentives that cut the cost of the system. In all 50 states, installing a solar power system qualifies the homeowner for the Residential Renewable Energy Tax Credit. This tax incentive allows you to claim a credit of 30 percent of qualified expenditures for your system and, most importantly, helps to shave down the time it would take for your savings to equal out or exceed your initial investment. If you're the type that likes online calculators, you'll be particularly happy to learn that Google has come up with a handy little number-cruncher to give you an approximation of the costs and savings you can expect with solar in your own home. Called Project Sunroof, the tool relies on high-resolution aerial mapping to calculate your specific roof's solar energy potential. According to Google engineer Carl Elkin, the site "figures out how much sunlight hits your rooftop through the year, taking into account factors like roof orientation, shade from trees and nearby buildings, and local weather patterns." When I plug my home's address into Project Sunroof, it spits out an aerial thermal image of my street that is, if we're being honest, pretty damn impressive in its detail. The fact that my roof is glowing bright yellow clues me into the fact that sunlight is aplenty, but the site spells it out for me, too. By their estimate, my roof receives 1,606 hours of usable sunlight per year. Based on 3D modeling of my roof and nearby trees, the site figures I have 564 square feet of roof available to be outfitted with solar panels—and they recommend an 8-kilowatt system, which would cover 40 percent of our household electricity usage. What does all of this mean for my bottom line and, theoretically, yours? That, yes, a solar power system can pay off. With the system covering around 40 percent of my household electricity usage, my 20-year benefits of utilizing the system would total $37,000. If the upfront cost of a system after tax incentives amounts to $17,000 and we deduct that from the benefits, the 20-year savings comes out to $20,000. In other words, it would take nine years to pay back that initial investment. You may be thinking, "Yeah, but this only pays off if I actually stay in the home for nine years." In which case you may be relieved to learn that research conducted by the Department of Energy in 2015 showed that buyers are happy to pay more for homes with solar power systems. The study, which was cited by The New York Times, revealed that buyers were willing to pay a premium of $15,000 for a home with a solar power system, compared to a similar home without one. The only caveat is that these findings apply to systems that are owned, not leased. So although there's no hard-and-fast rule for whether or not solar power systems will pay off in every unique situation, they can certainly save you money immediately on your electrical bill whether you buy or lease. And if you have the capital to make the full investment upfront, you could be looking at paying off the system in less than a decade and enjoying sizable savings and a big ROI in the long-term. Arctic Temps Expected to Hit Northampton Area! Well, it looks as if winter has finally arrived to the Pioneer Valley, and she means business! It seems we can expect possible power outages due to the high winds. Make sure to have your flashlights powered up, and back up power and heat sources ready to go, should we lose power. It's also extremely important to dress appropriately for the weather if you need to be outside for any period of time. Real Estate Reminder: Remember to keep your heat on low if you have to be out of town during the cold snap. Burst pipes can lead to very expensive plumbing and cosmetic fixes! An Arctic front is expected to hit the region bringing with it cold temperatures, high winds and snow, according to the National Weather Service in Taunton. Thursday morning’s high temperature in the 20s is forecast to drop throughout the day to the mid-teens, according to Bill Simpson, a spokesperson with the weather service. Winds will gradually increase with wind gusts reaching up to 40 mph in the afternoon bringing with it wind chills dropping near zero, Simpson said. “One good thing – it’s a relatively short period,” he said. The highest winds and lowest wind chills are expected in the evening and could hit 10 to 20 below zero in Western Massachusetts with some locations even colder, according to Simpson. Moving into Friday, winds are expected to die down and temperatures are forecast in the mid-teens. Snow is expected to arrive following the evening commute and could drop four to five inches in the Connecticut River Valley. Simpson also said people should prepare for possible power outages because of the high winds. Well, it looks as if winter has finally arrived to the Pioneer Valley, and she means business! It looks as if we can expect possible power outages because of the high winds. Make sure to have your flashlights powered up, and back up power and heat sources ready to go, should we lose power. It's also extremely important to dress appropriately for the weather if you need to be outside for any period of time. Time For an Energy Assessment for Your Home! As winter approaches, heating costs may be on your mind. Perhaps you have put off winterizing strategies in past years. Or maybe you've been curious about how to make your home more energy-efficient, but you weren't sure how to get started. The Mass Save program makes it easy for homeowners to start the ball rolling towards creating a more energy-efficient home. Better for the environment, and easier on the wallet! Buyers often want to gain as clear a picture as they can about the degree of energy efficiency in a house they are considering, especially in many of the older homes for sale in the Northampton area. Sellers often want or need advice about what they can do to improve household energy efficiency, when preparing to put their homes on the market. We realtors often suggest contacting Mass Saves for an energy audit as a starting off point. Yesterday's article in the Daily Hampshire Gazette, below, describes the process in detail! Any time of the year is a great time to think about how to save energy, but the crisp night air of autumn is an especially good reminder to get the house ready for winter. But before going to the hardware store to buy all the products needed to fill in all those drafty areas around windows and doors, you might want to consider bringing an energy-saving expert to your house to do that and more — for free. One of the most informative and economical ways to make your home more energy-efficient is through the Mass Save program, a private/public partnership between the state and all the utility companies. Homeowners can call and schedule a free energy assessment for their home. During the assessment, which takes several hours, a trained energy specialist walks through the house and creates a report, or “road map,” detailing what aspects of the home can benefit from upgrades, weatherization or additional insulation. no-cost replacement of heating system filters. To get a better sense of the program, we tagged along on an assessment of a one-story contemporary home in Hatfield belonging to Eversource spokeswoman Patricia Ress. Brian Tierney was the energy assessor, and Eversource spokesman Bill Stack was also present to answer questions about the Mass Save program. Stack encourages all residents, whether renters or homeowners, to take advantage of the program and schedule an assessment. Every month, Eversource customers pay a couple cents for every dollar they pay for electricity to fund the Mass Save program. Tierney started the assessment in the basement, where he tested the heating/cooling system to determine how efficiently it was working. Ress’ home has a geothermal heating and cooling system, which exchanges heat through pipes that run into the ground to heat the home in cool months and cool it in the summer. Tierney checked the system’s filter. Whether geothermal, oil or gas, if HVAC system filters are not replaced regularly, then the system will not function efficiently. He recommends a filter rated at Merv 8 or higher. Lower-end filters will protect the system from damage by large particles, but will not improve home air quality the way higher-end filters do. He checked the hot water heater to ensure efficient combustion, and adequate venting, then checked the dehumidifier. While dehumidifiers use a fair amount of electricity in the summer, keeping a basement below 60 percent humidity is important to prevent the growth of mold. Colder air, such as that in a basement doesn’t hold humidity well. That’s why homeowners will see sometimes see their basement walls sweating in summer. A gray or yellow discoloration of the insulation in attics or basements is a clear sign that air is somehow flowing in there. Air sealing in basements and attics is free of charge through the Mass Save program. Air sealing is important not only to keep humid air from leaking in through the basement during summer but also to keep warm air inside the home during winter. Later in the assessment, Tierney will check the sill plate and inject an expandable foam into any holes to make this seal tight. Spotting a chest freezer in the corner, Tierney mentioned that older chest freezers and refrigerators can be real energy hogs. Mass Save will pay residents $50 to haul these units away, and will then recycle 97 percent of the parts of these older appliances. Depending on the model, chest freezers are more efficient than those attached with a stand-up refrigerator as the cold air stays in the box when it is opened. He also noted that it takes less energy to keep a full freezer at the set temperature. If there isn’t enough frozen food to fill the freezer, old milk jugs can be filled with water and set around the food packages to ensure efficient cooling. Tierney asked Ress about her energy usage. Ress said her electric bill went up substantially when she moved into the house earlier this year. Ress’ home was built in 2000, and so far, Tierney found little to indicate that it was inefficient. During his spot check of the basement sill line, the insulation and sealing seemed sufficient. Ress said that the mix of generations living in her home may increase the demand for energy, as her elderly parents need to be in a comfortable temperature and her teenager uses a fair amount of hot water and electronics. Then Tierney started replacing dozens of small light bulbs with LEDs in several chandeliers on the main floor. He noted that Ress may start seeing substantial savings right away, because the cost of running a lot of incandescent bulbs, even if they’re small, can really add up. Stack added that homeowners may see savings up to over $500 with these lighting upgrades alone, as the bulbs use so much less energy and cost at least $4-5 each in stores. Mass Save uses LEDs rather than compact fluorescent bulbs because they do not contain mercury, and last much longer. “One thing we tell customers is that if they put in an LED bulb when they have a new baby in the house, they may not have to replace that LED until their child is off to college,” Stack said. Tierney also pointed to a few different power strips on the main floor where different appliances and lights were plugged in and, in many cases, still using electricity, even though they were turned off. He replaced power strips in Ress’ home with “smart sticks,” which cut power to several appliances on the strip when they are not in use. The Mass Save program provides programmable thermostats during energy assessments, which can improve efficiency. Stack said the program can also provide Wi-Fi thermostats, some of which allow homeowners to adjust temperatures from afar, lowering or increasing them automatically when they are within a specific radius. A second visit is required to install Wi-Fi thermostats. Tierney advised against temperature shifts of more than 8 degrees between day and night. “Temperature swings greater than that will require more energy to heat the house back up than if you had left the thermostat alone,” he said. He also checked Ress’ appliances to see if they were running efficiently. Mass Save offers a tiered rebate program based on income to encourage upgrades to more energy-efficient models. Rebates on refrigerators, for example, start at $150 but are higher if a resident is low- or moderate-income. Rebates for clothes washers start at $350. Tierney climbed into the attic and found that Ress’ home was well insulated. With 14 inches of cellulose insulation in addition to a layer of hard insulation, her home was well protected from heat loss. But Mass Save offers large discounts on insulation for homes that need it. Homeowners may qualify for discounts of 75 percent of the cost of approved insulation improvements, up to $2,000, Ress said. Discounts are even higher if residents are low- or moderate-income. In addition, the program offers no-cost targeted sealing of air leaks. She added that qualifying residents may also be eligible for zero percent financing for eligible measures through the HEAT loan program http://www.masssave.com/en/residential/expanded-heat-loan. Stack said Mass Save also works with contractors building and remodeling homes, offering discounts on energy-saving measures. He said homeowners who are in the process of construction can encourage their contractor to call the program to take advantage of these savings. In addition, the program is reaching out to real estate agents to do energy assessments before new owners move in. “When the house is empty, that’s the best time to look around and see what can be put in place to make sure it’s energy efficient,” he said. Many Pioneer Valley homeowners, realtors and citizens have been contemplating whether the installation of the proposed Tennessee Gas Pipeline Northeast will affect property values in the Northampton area. While the following article from the Daily Hampshire Gazette is inconclusive, it does seem to suggest that there may both safety issues in having a home in close proximity to a compressor station, and, at the least, a temporary dip in property values while the pipeline is being installed. Of course, there are also the environmental concerns surrounding this project. A group of Franklin County towns have formed the Municipal Coalition Against the Pipeline to fight the project. To follow is the article in the Gazette. The home at 382 Lower Road in Deerfield is within 500 feet of the path of the proposed natural gas pipeline. DEERFIELD — With a natural gas pipeline and accompanying compressor station proposed to be built in western Massachusetts, many residents along the expected route have found themselves worrying about how it could affect the value of their homes. In August, Heather Reloj, who owns a home on Lower Road in Deerfield, asked the town to repay taxes that she had paid last year and reduce her taxes going forward due to how close the project is expected to pass by her house. And residents of Gulf Road in Northfield have expressed concern about how a potentially noisy — and some say dangerous — 41,000-horsepower compressor station expected to be built nearby could affect the value of their homes or insurance policies. The Tennessee Gas Pipeline Northeast Energy Direct project would cross through Plainfield in Hampshire County and eight Franklin County towns on its way from Pennsylvania shale fields to Dracut. Though most of the area’s real estate and appraisal experts say it’s too early to speculate on the possibilities and the Massachusetts Association of Realtors — a trade group with a membership of 20,500 real estate professionals — said it does not have any data on the issue, how it has played out in places where such infrastructure has already been installed has been studied before. According to a 2013 study by the Forensic Appraisal Group LTD, a Wisconsin firm that specializes in issues with the potential of litigation related to pipelines and electric wires, natural gas pipelines have a definite, measurable effect on the value of homes on the properties that they cross. The study focused on gas transmission pipelines like the proposed Northeast Energy Direct project and how a potential home buyer’s perception of associated risks could detract from home values. The study, conducted by senior appraiser Kurt Kieslisch, surveyed real estate agents and considered another study that surveyed home buyers. Both groups were asked their opinions on how information from negative media reports about pipelines or legal disclosure of a pipeline and the associated risks on a property might impact their decision to purchase it or increase the difficulty of selling it, in the Realtors’ case. It found that the property became more difficult to sell with each additional level of information provided about the nearby pipeline. “Damages resulting from perceived market negative influence are sometimes known as ‘stigma’ or ‘severance’ damages,” wrote Kieslisch. The firm also carried out a number of “impact” studies comparing the sale price of similar homes that were encumbered by a pipeline easement and those that were not, in Ohio and Wisconsin. It found that the presence of a gas transmission pipeline decreased home values by about 12 to 14 percent on average in Ohio and about 16 percent on average in Wisconsin. The Federal Energy Regulatory Commission, which regulates interstate natural gas pipelines and is ultimately responsible for permitting them, appears to disagree, however. In a previous environmental impact statement issued by FERC for Constitution Pipeline Co. and Iroquois Gas Transmission System’s Constitution Pipeline and Wright Interconnect project in Pennsylvania and New York, which was permitted in December 2014, the agency determined that property values were “not substantially affected” by a nearby pipeline. A handful of studies cited by FERC in the environmental impact statement concluded that property values aren’t heavily affected by pipelines, though one of the studies showing that property values dropped following an incident along a pipeline and recovered over time. The statement acknowledged that appraisals do not generally consider “subjective valuation” — the idea that some things are worth more or less to different people based on how much they personally desire or need it and their perception of associated risks, in the case of pipelines, which the Forensic Appraisal study said has a definite effect on purchase decisions. “That is not to say that the presence of a pipeline, and the restrictions associated with a pipeline easement, could not influence a potential buyer’s decision to purchase a property. If a buyer is looking for a property for a specific use, which the presence of the pipeline renders infeasible, then the buyer may decide to purchase another property more suitable to their objectives,” the environmental impact statement noted. One of the studies was conducted in 2008 by Dr. Eric Fruits, a economics professor at Portland State University. The study, which he was hired to perform for the Oregon LNG Project as part of the FERC’s environmental impact statement process there, reviewed the effects of the South Mist Pipeline Extension — a 24-inch diameter pipeline in northeastern Oregon — on local home prices. Similar to the proposed Kinder Morgan pipeline, the South Mist Pipeline Extension line is buried for its entire 62-mile length with the exception of above-ground valves and inspection stations and the land above it is a permanent, 40-foot-wide easement. Through an analysis of local assessor’s data and property values both before and after the pipeline was constructed, Fruits found that both the announcement and completion of the project had little effect on property values. In Clackamas County, Oregon, if all of the houses along the pipeline route were located exactly one mile from the pipeline and were sold after operation commenced, he wrote, the total value of the sales would only decrease by 1.9 percent over what it was before the pipeline was installed. This year, Fruits and another Portland State researcher, Julia Freybote, revisited the topic in a second study. That study investigates the relationship between a prospective home buyer’s perceived risk related to a nearby pipeline and sales prices, as well as the media’s role in influencing sales prices through coverage of unrelated fatal pipeline explosions elsewhere. The study, which focused on the same pipeline and data set as Fruits’ earlier study, surveyed about 30,000 home sales transactions within a mile of the pipeline, he said. 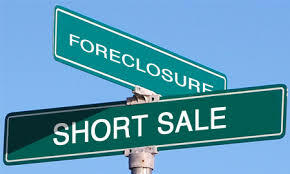 It concluded that home-sales prices dropped suddenly during months in which fatal pipeline explosions were covered by local or national media. Fruits said the study, which he and Freybote conducted independently as an extension of the 2008 study, showed that coverage of such incidents do have a small effect, but it goes away after a couple of months. When there is a highly publicized incident along a particular line, however — such as the explosion that occurred along the Olympic gasoline pipeline in Bellingham, Washington, on June 10, 1999, and killed three people — property values can drop suddenly but, again, recover over time, according to a 2006 study by Western Washington University economics and finance professors Julia Hansen, Earl Benson and Daniel Hagen titled “Environmental Hazards and Property Values: Evidence from a Major Pipeline Event,” which was also cited in FERC’s Constitution statement. The study analyzed sales transactions along two petroleum product pipelines, the Olympic and the nearby Trans Mountain pipeline, which carries crude oil, for a period of 5½ years before and five years after the Olympic explosion. The Trans Mountain pipeline had never experienced an incident during the period studied. Hansen, an economist who focuses on housing, said she and her colleagues live in Bellingham and the incident spurred their interest in how pipeline accidents affect home values. The study found that proximity to the accident-free line saw no effect while properties within 50 feet of the Olympic line saw a 4.6 percent decrease in their home values, a figure which dropped precipitously until no impact was experienced at distances farther than 1,000 feet from the pipeline. Harder to get a mortgage or insurance? FERC was not able to determine whether the proximity of a pipeline makes it more difficult for a homeowner or potential buyer to get a mortgage, as banks and mortgage lenders would not confirm that to be the case during FERC interviews, the statement said. The environmental impact statement also failed to measure the impact on a homeowner’s insurance policy regarding a pipeline being installed on their property. The statement said the agency carried out an independent study that involved calling representatives from a variety of insurance companies both in the Constitution project’s immediate area and nationally, but the companies either would not provide specifics or simply never returned inquiries. The companies in the local project area did, however, acknowledge that the potential exists for a resident’s policy to be affected by the project. While many local real estate agents and appraisers declined to comment for this story, citing the premature nature of the issue or the controversy surrounding the pipeline, or did not return phone messages, at least one insurance representative said he did not expect a gas pipeline to affect his client’s policies. Tim Farrell, the owner of Gilmore & Farrell Insurance in Greenfield, said none of the insurance companies he represents currently take gas transmission lines into consideration on applications for homeowner’s insurance, and he does not expect a new pipeline would affect policies. New Home for the Hitchcock Center for the Environment! Great news for Northampton and Amherst area residents! The Hitchcock Center for the Environment will be breaking ground on the construction of their new, uber-energy efficient building on the campus of Hampshire College on May 1st. The new building will have all the green construction bells and whistles you would expect: roof-mounted solar panels, rain collection barrels, composting toilets and a naturally ventilated structure. The construction of the building will follow the strict mandates of the Living Building Challenge, defined as "a building certification program, advocacy tool and philosophy that defines the most advanced measure of sustainability in the built environment possible today and acts to rapidly diminish the gap between the current limits and the end-game positive solutions we seek. AMHERST — Construction of the $5.8 million building that will house the Hitchcock Center for the Environment will begin with a ceremonial groundbreaking May 1 on the Hampshire College campus on West Street. The 9,000-square-foot building is expected to be New England’s first public environmental education facility to meet various standards under the Living Building Challenge, which mandates energy and water self-sufficiency and use of green materials, and will be large enough to accommodate the 11,500 children and adults participating in its environmental programs by 2020. The building will go up in a hay field between the Red Barn and the Hampshire College Farm Center. The Hitchcock Center and college agreed to a 95-year ground lease April 17 on the land. The building should be complete and ready for programs in the fall of 2016. Julie Johnson, executive director of the Hitchcock Center, said it is committed to the philosophy of the Living Building Challenge as part of its educational mission. “The process will transform how we think about design and construction as an opportunity to benefit both the environment and community life,” Johnson said. The building will include natural ventilation, roof-mounted solar panels, rainwater collection barrels and compostable toilets. Speakers at the ceremony, scheduled to start at 4:30 p.m., are expected to include state Senate President Stanley Rosenberg and Rep. Ellen Story, both of Amherst; Dan Burgess, acting commissioner of the state Department of Energy Resources; and Hampshire College President Jonathan Lash. Founded in 1962, the Hitchcock Center fosters awareness and understanding of the environment through its programs, many aimed at children. At the new site, existing programs will be strengthened and new ones added using both the building and the surrounding landscapes, where the center will have access to miles of trails and a variety of ecological habitats. The new location is 2.5 miles south of the renovated carriage house at the Larch Hill Conservation Area on South Pleasant Street. This town-owned building is too small for the growing number of participants and there is little opportunity to expand on that site due to wetlands and other issues. What the future holds for the current building, which Hitchcock has used for more than 40 years, is unknown. Johnson said the center has a lease with the town through 2020 and is discussing with town officials how Hitchcock might use the building for the remaining five years of its lease. Assistant Town Manager David Ziomek said the conservation restriction on the 25-acre Larch Hill property explicitly states that as long as the building remains on site, it is to be used for environmental education and similar outreach purposes. He anticipates the building will remain useful, perhaps as a satellite teaching facility for Hitchcock. “We’ll continue to have those conversations with Hitchcock to see where that goes,” Ziomek said. The land, which is bordered on two sides by preserved farmland, will remain protected and the trails that extend through it will remain open, as they are today, to the public from dawn to dusk, 365 days a year, Ziomek said. The groundbreaking for the new Hitchcock Center site will also start the public phase of the capital campaign, which has already raised $4.5 million through support from the Kendeda Fund, the Massachusetts Department of Energy Resources, the Massachusetts Cultural Facilities Fund, and local individuals, foundations and businesses. 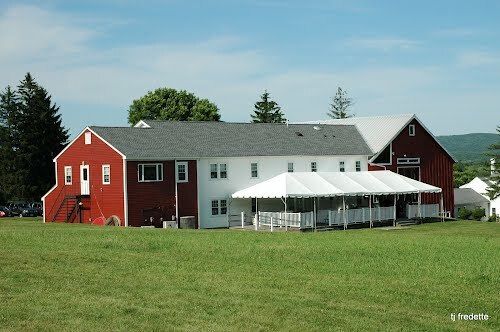 Parking for the groundbreaking will be at the Red Barn. Lower Electricity Rates on the Horizon! Good news! It seems that we can expect to see lower electricity bills, and perhaps lower gas bills, imminently here in the Pioneer Valley. I must say, I still hear the voice of my own parent's resonating in my ears with demands to "turn of the lights when you leave a room!". I have, of course, carried on the same tradition with my own children (harping on them to turn off lights/power when not in use, that is). Someday, I'm hoping this they will do so without even thinking about it (and demand the same of their own offspring). Meanwhile, Northampton area residents who are still reeling from the sticker shock of extremely high electricity bills this winter, can now breathe a sigh of relief -- and hopefully still remember to turn off anything that requires electricity when they aren't using it. Read on for the details about lower electricity rates from the Daily Hampshire Gazette article. Valley home and business owners can expect some relief from high electric bills this spring. On Monday, National Grid announced that, pending Department of Public Utilities approval, the cost of power is expected to drop from the current rate of more than 16 cents per kilowatt-hour to just above 9 cents per kilowatt-hour, a more than 40 percent decrease, starting May 1. With the cost of delivering the power remaining the same, this means that typical basic service customers using 500 kilowatt hours of electricity a month will see a decrease of $32, or 26 percent, on their overall bills. National Grid spokeswoman Danielle Williamson explained that energy costs typically go down in the summer since there is less demand for natural gas than in the winter, when wholesale costs go up due to pipeline constraints. Meanwhile, natural gas customers can also anticipate lower bills this spring. Customers of Boston Gas and Colonial Gas, affiliates of National Grid, can expect to see their bills drop by approximately 30 and 25 percent respectively, according to Williamson. National Grid has almost 1.3 million residential and business electric customers in Massachusetts and serves several Hampshire County communities, including Northampton, Belchertown, Granby, Williamsburg and Goshen. The news of lower rates was welcomed by residents and business owners in these communities. Patricia Shaughnessy, who lives in Florence and is director of the Northampton Senior Center, called the news encouraging both as a city resident and professionally. Customers of Eversource, the utility that formerly operated in this area as the Western Massachusetts Electric Co., will wait another month or so to learn whether their rates will also drop. Unlike National Grid, Eversource operates on a January-through-July schedule with the Department of Public Utilities. In the next month, the company will put out a request for proposals from wholesale electricity suppliers, then submit the lowest bid received for state approval. Eversource does not generate power. Priscilla Ress, an Eversource spokeswoman, said the new National Grid rates hold out hope for consumer rate relief. “This is a very good sign for what’s happening in the electricity market,” she said. The wholesale market has been shifting, she noted, now that customers are seeking alternative suppliers in the face of rising rates. Ress noted that over 90 percent of Eversource customers were previously signed up for the basic rate, but that percentage has fallen since rates jumped by roughly 29 percent Jan. 1. Gena Mangiaratti can be reached at gmangiaratti@gazettenet.com. When we decided to move from our 100 year old home in downtown Northampton, we never thought we'd wind up with new construction. We are both drawn to older homes with interesting architectural details and quirky design elements (dumb waiters, back staircases, hidden storage perfect for "hide and seek"), but we also loved the idea of purchasing an energy efficient home. When we first saw our now new home (85% constructed when we signed the offer to purchase) we were wooed by the view from the attic/office, and the fact that the home would have an energy star rating upon completion. It feels good to know that we are living in a home that helps offset our carbon footprint. I was excited to see the following article in the in the Daily Hampshire Gazette about the "Passivhaus" in Amherst - new energy efficient construction with much forethought given to every element of design and construction. Practice what you preach — or what you teach. Alexi Arango teaches renewable energy at Mount Holyoke College in South Hadley where he is an assistant professor of physics. And he lives in a “passivhaus,” a passive solar house that is heated without a conventional furnace. Arango, who uses a video about a passivhaus in Maine for instruction in his class, decided to build a similar home himself, partly because he believes in the concept and partly because he wanted to create a living lab for his students. After a year of construction, Arango moved into his house in South Amherst last September. He lives alone, but he is engaged to be married and plans a family. On a recent February morning, snow was falling and the temperature outside was 8 degrees but inside the 1,000-square-foot-house, it was light and airy and toasty warm. The bright yellow home sits in a field adjacent to wooded conservation land with views of the Holyoke Range to the south and a stable for his neighbor’s goats to the west. Passive solar construction was first promoted widely in the 1970s. Designed with large south-facing windows, solar houses relied on thermal mass, usually of concrete floors, or often huge translucent drums of water to capture and hold the rays of the sun streaming in from large windows, storing it by day and releasing it at night. But the whole concept of siting houses to take advantage of southern sun, northern windbreaks and shade trees actually goes back centuries. “Then we lost that sense when energy became cheap,” Arango said. “Passivhaus” is a German term and it describes a building more complicated than a simple passive solar structure. It goes beyond proper siting and thermal mass to incorporate the latest technology. Heat recovery ventilation systems, super insulation, triple-pane windows, an air barrier enveloping the structure, tankless hot water and energy-efficient lighting and appliances are all essential elements of a passivhaus. In Arango’s home, the downstairs is a single large room with a long kitchen wall opening into a sun-drenched dining area with large windows adjacent to a snug seating area with an off-white upholstered sofa and matching chairs. There is a bright geometric rug on the concrete floor. A staircase leads to three bedrooms and a full bath upstairs. Tucked under the stairs are a tiny lavatory, a coat closet and storage. There is no basement so the mechanical necessities are also hidden under the stairs. A large mirror on an interior kitchen wall brings reflected light into the house while camouflaging the electric circuits that are tied into a computer system that allows Arango to monitor every bit of energy use, from home or from his workplace. His students can also access the information. When he turns on a light, runs the hot water or uses the stove, a graph records the new electrical use. “Everything you do, you can see the results,” he said. He learned it is actually more efficient to use the dishwasher than to wash dishes by hand. What is startling is the lack of any furnace. No oil, no gas, just a heat pump on the wall that looks like a large air conditioner. “The truth is that as far as heating the house, solar heat gain is what heats it,” said Kyle Belanger, project manager for the builder, Integrity Development of Amherst. 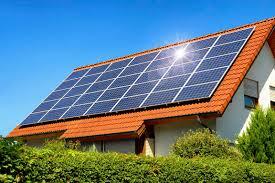 Also lacking at the moment are the expected photo-voltaic solar panels on the roof or any solar hot water panels. The heat pump operates on electricity provided by the traditional electric company grid. The house is planned eventually to be off the grid, but that is in the future. “There will be solar panels someday but I think it’s a good idea to live in a house and see what energy needs you have first,” Arango said. Some solar advocates have installed hot water panels only to discover they produced more hot water than they actually needed. Belanger said they made sure everything was put in place for photo voltaic panels to be added later. Hot water for showers, laundry and dish washing at Arango’s home is produced by an up-to-date drain water recovery system. The residual heat from water runoff from a shower or washing machine, actually heats fresh water through a coil so that the water heater itself doesn’t have to work so hard. “In a shower the hot water hits your body for a very few seconds and then goes down the drain,” Arango said. In his system that water is recaptured and helps warm the fresh water before being flushed away. A tankless heater boosts the warm water up from 80 degrees to 115 degrees. “It is supposed to save 60 percent of your water-heating costs,” Arango said. He expects it to pay for itself within three years. “It takes a lot of planning with the architect to build a passivhaus,” Belanger said. Arango’s home is believed to be the first official passivhaus in the Pioneer Valley. Belanger and his crew had to learn new construction techniques from the architect, Matthew O’Malia, from GoLogic of Belfast. The video Arango uses in class came from GoLogic, so “I thought I might as well call them up. We got along very well. It was so inspiring,” he said. Two critical elements in a passivhaus are the continuous air barrier that surrounds the foundation, walls and roof of the house, and the heat recovery ventilation system, Belanger said. “The first thing is to create a continuous air barrier around the house,” Belanger explained. Under the foundation is a polystyrene insulation film that is sealed up against the wall sheathing. The “poly” continues up the walls and over the roof, sealed at every possible point. The walls, Belanger said, are SIPs panels (structural insulation panels) that “look like a sandwich cookie.” Parallel panels of rigid foam eight inches thick are filled with blown-in cellulose or fiberglass insulation. Making the house as tight as possible to avoid heat leakage and drafts requires a carefully calculated air exchange system. “When the house is so tight, you need air to live but you limit the air exchanges,” Belanger said. The manufacturer of the heat recovery ventilation system does the calculations. Fresh air wafts through unobtrusive vents that look like miniature stereo speakers high on the walls. “You have a constant supply of clean air that is brought up to room temperature without the clicking on and off of a furnace,” Arango said. Arango’s house features German-made triple-pane windows that are two inches thick. Insulation, rated by R-values, is R-55 in the walls and R-96 or R-100 in the roof, Belanger said, adding that the R-value is less important than that continuous air barrier. Industry standards call for R-49 to R-60 attic insulation in new construction. However, he said, other people might make different decisions that would reduce the costs. “I wanted to have nice appliances and good windows,” he said. Arango’s appliances are primarily the German-made Miele. He is especially happy with his induction flat-surface stove top. With a conventional open-burner gas or electric stove, “you lose 50 percent of the energy,” Arango said. This stove is very fast, he said. For example, the hot water kettle heats the water before you can get your cup ready, he said. The three upstairs bedrooms are small but filled with light from the large windows. Double doors into his study make the room feel much larger as does the view of Mount Norwottock from the south window and the placid woodland view in the opposite direction through the window at the top of the stairs. A vaulted ceiling in the master bedroom enlarges that room as do the triple south-facing windows. The bath features an unusual sink and vanity from Ikea with drawers deep enough to serve as a linen closet. Arango’s research convinces him that solar energy has a great future as do other forms of renewable energy. He cautions, however, that only 25 percent of existing roofs aren’t shaded by trees. “Not everyone has the perfect site,” he said. But he found one and has built a snug home filled with light and warmth for himself and his future family. It also demonstrates to Mount Holyoke students that renewable energy is not only feasible but practical, comfortable and attractive. Cheryl Wilson can be reached at valleygardens@comcast.net.